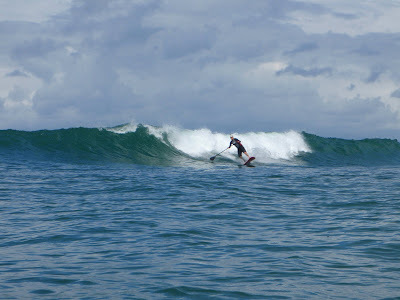 Stand Up Paddle Surfing: Stand Up Paddle Surf Travel Report: Puerto Vallarta Part I. 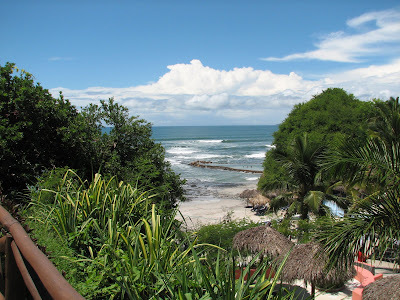 Stand Up Paddle Surf Travel Report: Puerto Vallarta Part I. Life is all about inside moves. The little pieces of local knowledge that can change your reality from blah to bitchen. It's the difference between a Double Double (a damn fine burger at In'n'Out) and a Double Double Animal-style (not on the menu and pretty much the apex burger in the fast food jungle), it's La Super Rica against that Taco Bell up the street, it's free surf wax versus chump wax at five dollars a bar (not an exageration- overheard a shop gouging an Arizona tourist just this weekend). This is especially true with surf travel and it can make or break a surf trip. Would you rather surf three hours everyday or three hours in a whole week? Go to Tahiti and surf a junky beachbreak or paddle across a lagoon and get spat out of poured glass tubes? It's your choice. All it takes is a little preparation and research. This is especially true if you plan on lugging around a big ol' stand up paddle board, a wife (did I say lug? I was refering to the board.) and maybe a few grom-lings. If you know where to go, the right place to stay and how to get to the spots you'll surf your brains out, keep the family happy and spend the rest of the year wasting valuable work time dreaming about getting back down there. This is Paddlesurf.net's first installment of what I hope will be a regular series of surf travel articles centered on insider knowledge. I'll call them the Stand Up Paddle Surf Travel Reports or SUPSTRs for short. Read, learn and go. Let me know if you metamorphose from cheeseball to champ. Good Luck and keep us posted! Reader Tim was a great sport and patiently answered every one of the questions that I sent to him about his recent Puerto Vallarta trip. Obviously the guy's got it dialed- if you were looking for the inside scoop on a Vallarta run, he's really done a great job of laying it out for all of us. And the best thing was that he was happy to share. Needless to say, we're all going to owe the man at least one cold Pacifico. PaddleSurf.net: How did you know there was surf down near Puerto Vallarta? Had you surfed there before? Tim: I’ve been taking several surf trips a year for the last 20 years. I went to Puerto Vallarta for the first of two trips back around 2000. Each trip we slept in the village of Punta Mita but ate and surfed all day on the “Yacht” Sylvester, a boat you could charter for the week. Captain Richard, who owned the boat has since died. 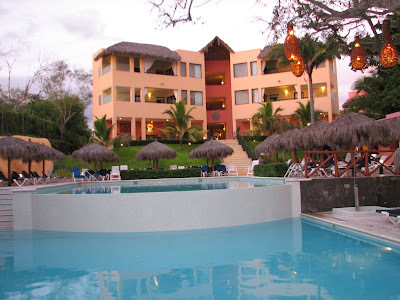 Before going to PV we had done a number of trips to Z-wat and had stayed at the bungalows at the point at Saladitas (I was stoked to hear you had a great trip there!!). Looking for something new we decided to explore Puerto Vallarta. PaddleSurf: Where did you stay and why did you decide to stay there? PaddleSurf: Do you think this would be a good place to go with family or girl friend while you were surfing like a fiend? Are there other things for them to do? Tim: Absolutely…In fact my daughter is getting married in January and after seeing the pictures and checking the place out on the internet she’s going there for her honeymoon…It’s a great place to take wives…or families( lot’s of kid stuff available) and lots of other things to see and do in the area. PaddleSurf: What would a normal "surf day" be like? Tim: We had an interesting weather pattern…Initially I thought I would have to get up early and catch it before the wind would come onshore, late morning. Instead, the wind seemed to die out each day and the best surf time seemed to be between 10:00 AM to 2:00 PM. This made things real casual, you could sleep in a little and basically surf when you wanted to. There are at least 5 different restaurants on premises and since it was an all inclusive resort you can find somewhere to eat any time you wanted. It was pretty amazing…almost decadent!! But then again, somebody has to do it!! Photo above: Somebody's got to do it alright- here's Tim evidently getting it done somewhere warm and fun. PaddleSurf: What was the surf break like directly out in front of your place? Check Back for Part II of the Stand Up Paddle Surf Report. Also: Sacred Craft Surf Board Show Photos, new Stu Kenson 9'6" Zapper, Methane Paddle Review (yup, I got one) and more! Yee haw! Come learn to stand up paddle surf! We offer stand up paddle surf lessons here in sunny San Diego- fall is a great time to get out and learn to paddle. Stand up paddle is great, no-impact exercise, you'll laugh, smile and get a nice little sweat going. We've put more learners on stand up paddle boards than anybody else in Southern California. Give us a call at 619.213.6622 or email john@paddlesurf.net for more information. What kind of wind came up at 2pm? I'm always looking for a good vacation that has some surf and some kiteboardable wind. I hear ya! It'd be sweet to pack the SUP and a 12m kite and board. Paddle in the morning, kite in the afternoon, comatose by dark. i am moving there with that exact plan. I have been a kiter for years but literally just tried SUP last week while in San Fran and really love it. Question: anyone know of a place to rent SUP in PV? a place to purchase?